Doctor Illona Barlam is very nice and professional. She listened to the details of my ailment and after a careful analysisand x -rays she knew exactly what the problem was and provided me with the proper plan for treatment. I am glad I found her office on Zoc Doc. Doctor Illona Barlam is very nice and professional. She listened to the details of my ailment and after a careful analysis and x -rays she knew exactly what the problem wasand provided me with the proper plan for treatment. I am glad I found her office on Zoc Doc. I ended up being seen by Dr. Lee. I found her to be very professional and compassionate. I would recommend herto others! I ended up being seen by Dr. Lee. I found her to be very professional and compassionate. I would recommend her to others! 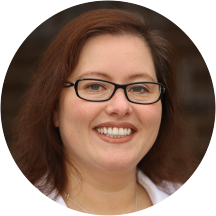 Dr. Ilona Barlam is a skilled and competent podiatrist based in Kent, Everett, Seattle, and Redmond, WA. Dr. Barlam attended the New York College of Podiatric Medicine, where she earned her degree in podiatric medicine. Dr. Barlam is a part of Advanced Foot & Ankle Clinics. Patients see Dr. Barlam for a variety of reasons, including psoriasis, diabetic feet, warts, arthritis, and ankle problems. Dr. Barlam gives each patient her focused attention, and she prides herself on delivering the best treatment available. During her consultations, she fully explains patients’ conditions and helps them choose an appropriate treatment plan. Very good. She took care of my problem and even paid attention to my baby who was at the appointment with me. Dr. Barman and staff were very prompt and professional. I was given a diagnosis and resolution during my initial visit.